The second volume in the Kits for Cultural History series, the Early Magnetic Recording Kit prompts people to re-perform what many claim was the first magnetic recording experiment, conducted by Valdemar Poulsen as early as 1898. Poulsen holed up in a room in rural Denmark, where he recorded, replayed, erased, and re-recorded the name, “Jacob.” The only known account of this experiment is found in Marvin Camras’s Magnetic Recording Handbook. It contains a simple stick figure drawing of how the experiment apparently worked. Poulsen strung piano wire from one side of a room to the other. Then he ran alongside the wire with a trolley containing an electromagnet. 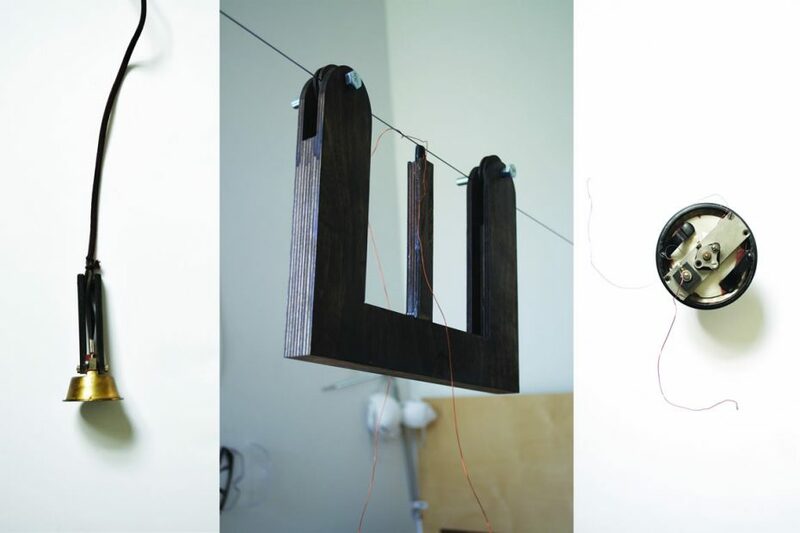 For parts, he deconstructed a wall-mounted telephone and magnetized the wire by connecting a telephone transmitter, a battery, and an electromagnet in a circuit. 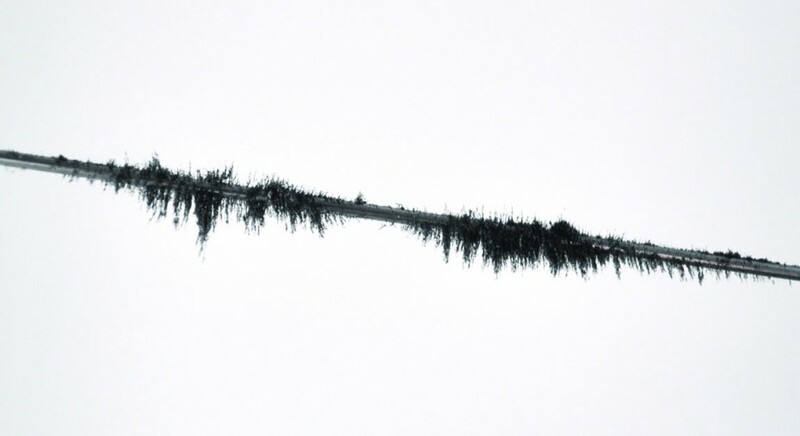 Poulsen’s voice would vibrate the transmitter’s diaphragm, and the attached electromagnet would run along the wire, leaving a trace or impression of sound. 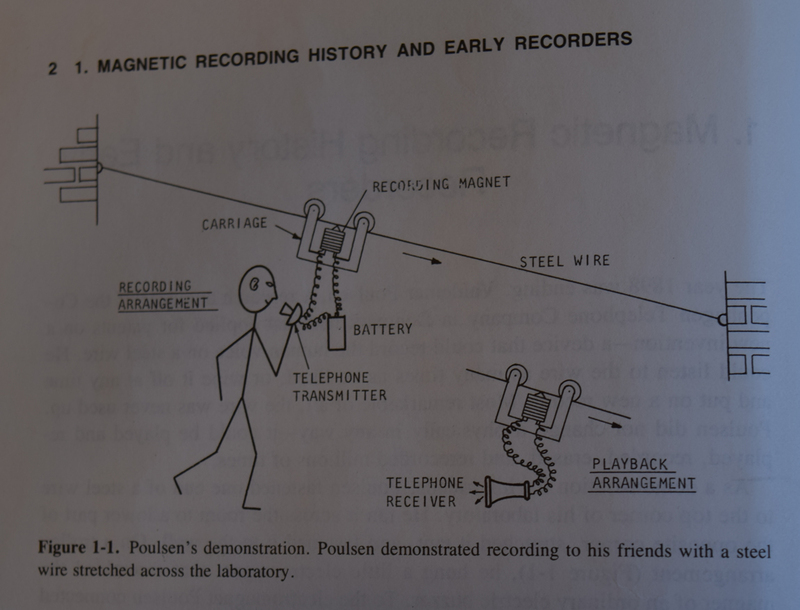 For playback, Poulsen would connect the receiver to the electromagnet. As the electromagnet ran over the magnetized sections of the wire, it caused the receiver’s diaphragm to vibrate. The magnetized sections could then be wiped clean with a permanent magnet. Importantly, the fidelity of the recording was highly contingent upon numerous factors, including the room’s acoustics, the voice speaking, the tautness of the wire, and the speed of a person’s movement with the trolley. The Early Magnetic Recording Kit is interested precisely in these contingencies, or how early magnetic audio was made, not taken or captured. Since 2013, the following researchers have contributed to the Early Wire Recording Kit: Teddie Brock, Tiffany Chan, Laura Dosky, Katherine Goertz, Danielle Morgan, Victoria Murawski, Jentery Sayers, Zaqir Virani, and William J. Turkel. The Social Sciences and Humanities Research Council, the Canada Foundation for Innovation, the British Columbia Knowledge Development Fund, and the University of Michigan Press supported this research. 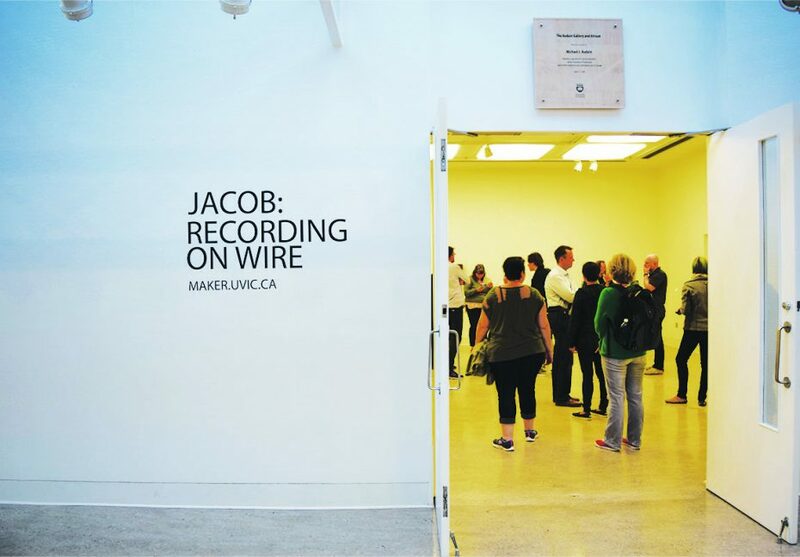 This project was completed in June 2016 with an exhibit, “Jacob: Recording on Wire,” at UVic’s Audain Gallery, based on existing research published in American Literature. The lab also published a public repository containing files related to the experiment. 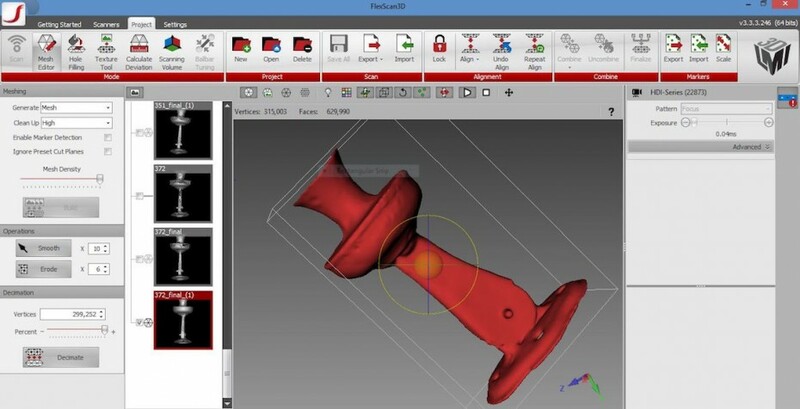 To learn more about the kit, see the stream of posts below. 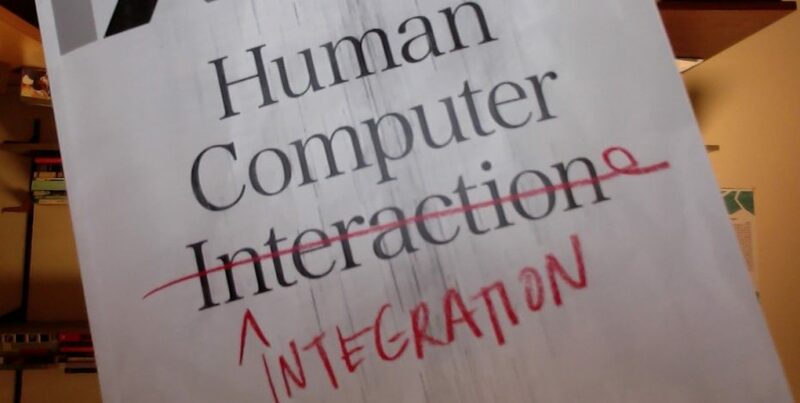 Please do not hesitate to either comment on a post or email maker@uvic.ca with feedback. 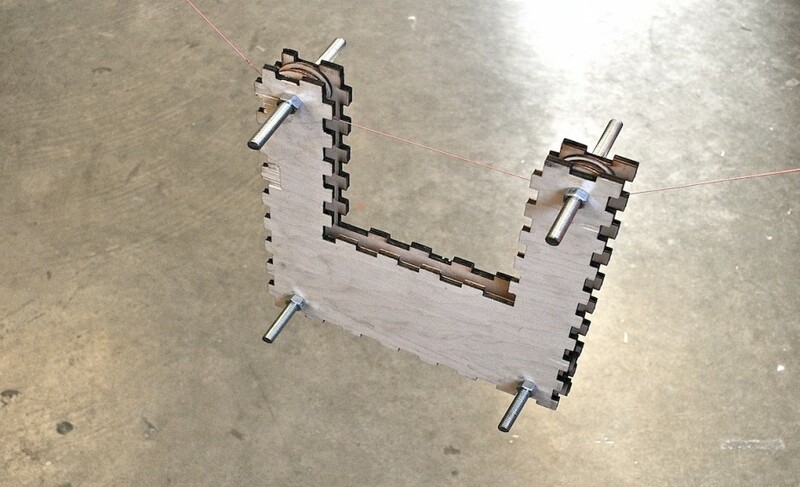 Post by Danielle Morgan, attached to the KitsForCulture project, with the fabrication, exhibits, physcomp, and projects tags. Featured image for this post, of Katherine Goertz with the lab’s recording trolley and mechanism, care of Danielle Morgan.